Construction Repair NYC is one of the best Masonry contractors in Brooklyn Queens NYC area with extensive expertise in Masonry Repairs NYC jobs. We work with a professionally qualified team, and we are time efficient in terms of offering response to our clients. We are versatile in offering our services, and we offer completely customized work according to the site requisition and the budget of the concerned property owners. We work according to the relevant construction law of the city and we offer our service for both commercial and residential premises. Why Construction Repair NYC is the Best for Brick Pointing in NYC? At Construction Repair NYC we completely understand the value of face lift and repair work for a property. When we undertake a masonry construction project, we completely take care of beauty and utility so that we can add value addition to the masonry job done. 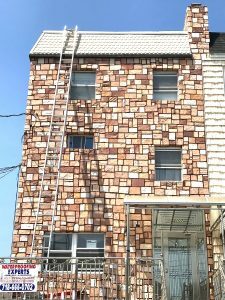 Be it a new construction, wall repair, or the job of brick pointing queens, Bronx, Long Islands, Brooklyn NYC, we offer our best masonry service with zero compromise on quality and best possible run-time. We pay professional attention to minute details and we always use top-of-the-line construction materials to add endurance and reliability to the work done. Furthermore, we are insured and we work with qualified masons in our team who understand the pros and cons of a masonry repair or new construction job. When you have hired the service of Construction Repair NYC, a premium Brooklyn Masonry Contractor New York City, you can be completely worry-free about the project completion quality. Construction Repair NYC offers a wide range of masonry services. Some of the most popular ones are Brickwork, brick pointing, masonry repair, historical preservation, hardscaping, etc. with professional efficacy and accuracy. In masonry & brickwork Queens NYC category, we are rated as one of the best contractors that clients have referred several times. We are insured and we offer 100% guarantee on all our projects. At Construction Repair NYC, we are established our reputation as one of the restoration specialists that will take care of your property, its aesthetic value, and complete curb appeal. We not only offer durability of our job done, we also add beauty and innovation as an added advantage of hiring our expertise. Also we use latest tools and equipment to complete our job faster than usual and we can offer best price for the job done. When a building has brickwork on its walls, the effect of water over several years can often have negative impact. Water is an important component of the concrete mix but once the concrete has been used, regular ingress of water can have several negative impacts. You could see visible water damage to the interiors of the brick structure. Over time, the brickwork done by NYC masonry services would slowly decay and there would be voids in the joints where two bricks are joined together using cement or lime mortar. Every masonry contractor Long Island NY knows that when there are thaw periods in winter, there could be water saturation. The expansion of the saturated ground would apply pressure on foundation walls, and cause stress or cracks. This would cause water to seep in, and that would not only cause structural issues but also impact the brick joints. Over a period of several years, the moisture continues to seep in. This weakens the structure and also the brick joints, and the mortar in the joints begins to crumble and fall away. This has two disadvantages. First, the look of the brickwork becomes poor because of the broken mortar and faded bricks. Second, it also makes the structure weak. That is when you should go in for brick pointing Bronx. When you employ the services of a Bronx brick pointing company, the brick pointing would be done by first removing the old mortar from the joints by scraping and breaking. Once that is done, the brick repair and pointing Manhattan, NY company would prepare the mortar to be used for brick pointing. Most masonry contractors in Brooklyn also add some waterproofing element into the mortar mix. There are special waterproofing cements available which can be used to make this mortar.